It is with great pleasure that my team and I welcome you to Clearbright Cosmetic Dentistry (formerly Kemp Mill Dental). Our office provides a comfortable and comprehensive dental care with a reputation built on integrity, exceptional skills, and outstanding services. Whether you need cleaning once every six months or you haven’t been to the dental clinic in 20 years, Clearbright Cosmetic Dentistry in Silver Spring, MD can provide all the dental services you need. We believe that strong and healthy teeth can last a lifetime and that a new, modern era of dental practice has emerged—one that is based on preventive care and the latest concepts in dental technologies. 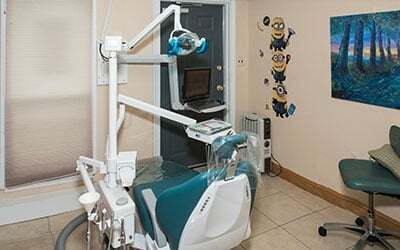 More than having state-of-the-art equipment, what sets us apart from other dental clinics is our experienced and friendly staff. We take time to study the condition of our clients to give them appropriate dental care. Our dental clinic wants to give you only the right treatment, done right the first time. We’re on a mission to making more beautiful smiles. Bring that beautiful smile with Clearbright Cosmetic Dentistry! We offer a wide range of dental services suited for both adults and children. Our dental clinic is under new ownership and has state-of-the-art equipment and services. Experience quality dental care from us. Contact or visit us today to set an appointment! "I am so grateful for their kind and patient approach to dental care." "Dr. Tshikaya and the team do great work and are always super friendly and helpful." "State-of-the-art equipment- and a friendly well trained and experienced staff."